A family business that had its beginnings in 1978. Sr. Mendoza learned the trade in school. His love and passion moved him up quickly past his peers. In 1987 he and his wife opened up shop and named it after the initials of their three children. R.E.J. Designs was born. After being located in Davie, Florida for almost two decades, there was a hiatus….. until now. The same love and passion that Sr. Mendoza had so many years ago, he instilled in his kids. We specialize in custom designs, from sectionals, three seat sofas to wing chairs, upholstered headboards/bed frames, to tufted sofas, wall panels, to head liners, captain chairs in yachts to side chairs, recliners, ottomans and benches in your home. Let us bring to you, 37 years of experienced, quality craftsmanship! 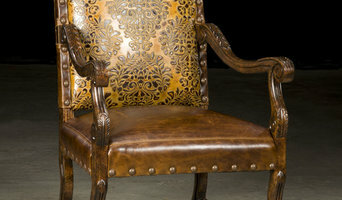 Furniture repair and restoration as well as upholstery. We provide on-site or in-shop service repairs for individual clients, hotels, furniture retailers, restaurants, insurance companies, moving companies, vendors, designers and construction developments, in Dade and Broward counties. Barbarossa Leather started in the United States twenty five years ago as a family owned business. Today the company is run by the sons, Leonardo and Alejandro. Our firm supplies creative leathers to the fashion world as well as the interior design market. We use only the finest raw materials from all over the world including France, Germany, Italy, Mexico, Brazil, and Argentina. Specializing in leather design and distribution at our Florida warehouse, we are able to supply you with an infinite array of colors and textures. We are well known for our color, texture and finish matching to client specifications. We have no minimum quantity requirements and can supply large volume orders. Being leather artisans and designers, not distributors or middlemen, our goal is to furnish you with the finest leathers, superior customer service, and competitive pricing in a timely manner. Quality Furniture has been delivering all of South Florida the best furniture care since 1988. With over 40 years of experience, this family owned and operated business specializes in antique refinishing and restoration, all of your household furniture needs, including repair, refinishing, restoring, hand carving, and much more. We also provide excellent upholstery services for indoor/outdoor furniture, custom headboards, sectionals, dinning & living room sets, ect. South Florida's elite drapery workroom and upholstery experts for over 20 years, Hart-Lines, Inc. caters to high end clients and designers throughout the country. We create beautiful, unique draperies, full upholstery, shutters, blinds, and all of your bedding and window covering needs. Hart-Lines, Inc. is a preferred Hunter Douglas distributor. Our exquisite work can be seen everywhere from residential interiors and commercial locations to mega yacht interiors and exteriors! Our potential is endless and our reputation is priceless. In-House Design Services Available! Some of us need a little assistance when it comes to the design and placement of our furnishing. At Hart-Lines, Inc. we offer full service design consultants from the big projects to the smallest. Call our office today to set up a consultation. Workroom to the Interior Design Trade. Specializing in Upholstery, Draperies, Motorized Window Treatments and other custom interior design fabrication. From our humble beginnings in 1970 as The Drapery Workshop, our family business has evolved and expanded into one of South Florida’s highest quality workrooms. 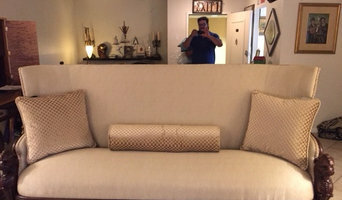 In 1997, to more accurately reflect the full scope of our services, and all that we have to offer the trade, we became Associated Interior Designer Service, Inc. From our custom workroom in South Florida, we continue to offer the absolute finest in window treatments, upholstery, bedding and other custom services. All of our work is done on premises, and delivered and installed by our expert staff. 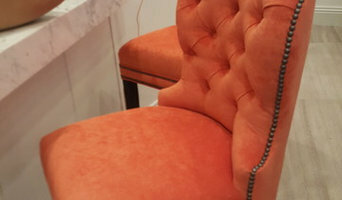 UCM Upholstery Cleaning in Miami offers professional upholstery cleaning in Miami-Dade County and eastern Broward County. We specialize in boat and yacht interior cleaning, with excellent cleaning methods for all interior surfaces, including upholstered ceilings and walls. Schedule your free estimate appointment today. Are you an interior designer looking for great manufacturing of upholstered furniture, window treatments, blinds, Bedding, Accessories and Millwork? You have found us. You can not go wrong with Sotos Interior Designers Workroom. We have the experience and we handle every single work professionally and effectively. We work with Interior Designers and to the trade. Sotos Interior Designers Workroom is the leading Deerfield Top Designer's solution. Lazar Interiors operates as a commercial/residential decorating company. 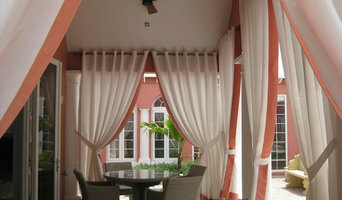 We specialize in drapery cleaning, custom draperies, slip covers, upholstery work, boat interiors and yacht interiors. For your convenience, our experienced sales executive will come to your home, office or boat to assist with your decorating needs. Also, as our clients you have the option of coming to our show room to select your desired textile. Transform your your home with reupholstered furniture. With our amazing customer service, elite upholstery and hundreds of fabric choices, Shorr Upholstery will help update your home with ease. Family owned 3 generation furniture upscale upholstery business. Re-upholstery/upholstery repair includes redoing/outfitting items like chairs and sofas with springs, padding and fabric coverings. This can also include adding fringe, piping, tufting or additional decorative elements to a furniture piece. They can also advise you about the pros and cons of different fabrics so you can choose the best type for the project in your Boca Raton home. Find Boca Raton furniture repair professionals on Houzz. 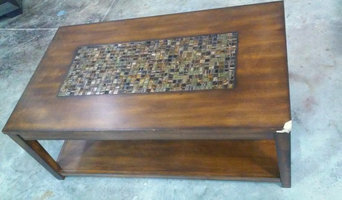 Narrow your search in the Professionals section of the website to Boca Raton, FL furniture repair.